Australia is world famous for its amazing beaches, deserts and natural wonders. 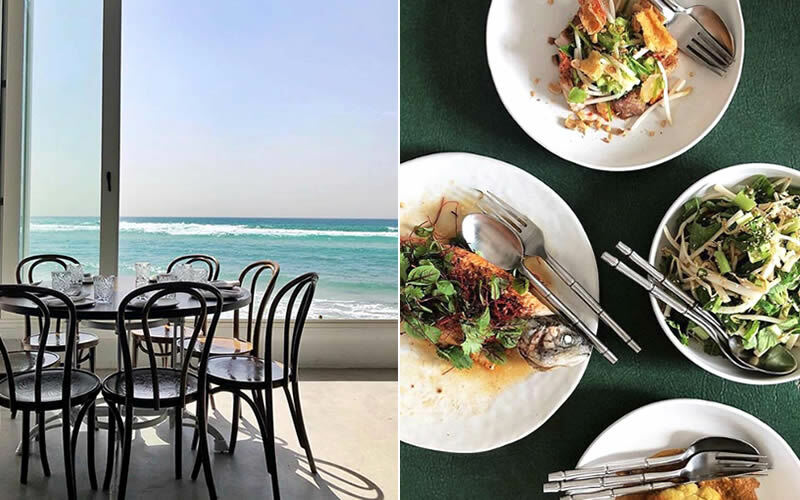 Anyone visiting the country will want to make the most of its breathtaking scenery, so we’ve rounded up ten restaurants across Australia that are a feast for the eyes as well as your culinary palate. Sydney: There’s so much to see and do in Sydney, from landmarks like the Sydney Harbour Bridge to picturesque beaches and world-class restaurants. For dinner with a view, here are two of our top picks. The Squire’s Landing is Australia’s flagship James Squire Brewhouse and tells the legend of James Squire, a convict on the First Fleet who went on to become the father of Australian brewing. 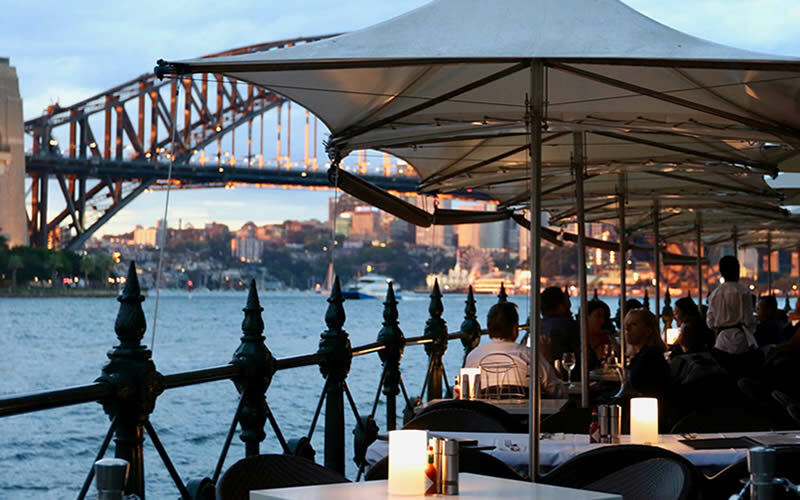 The restaurant overlooks the Harbour Bridge and the Opera House, so you can make yourself comfortable and take in two major tourist attractions at once whilst enjoying a delicious meal. It goes without saying that beer lovers will be in heaven at this location! 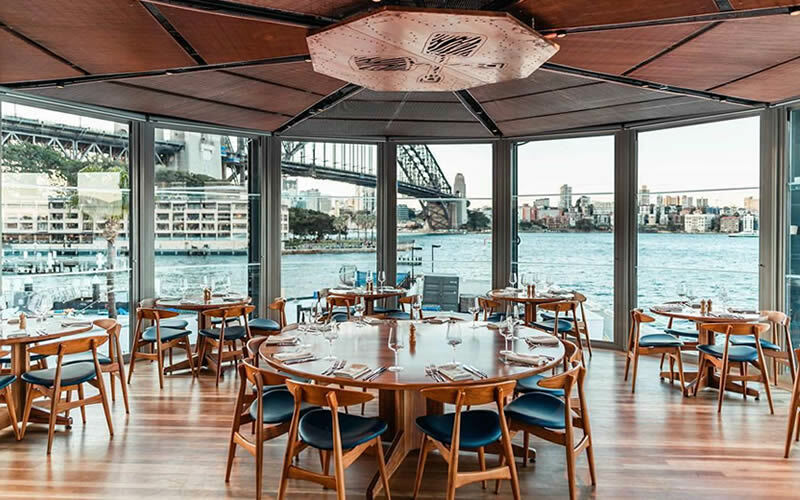 What better way to spend an evening than at this harbourside spot at Circular Quay, gazing across the shimmering waters and eating fresh seafood? As the name suggests, this is a top spot for fresh oysters and sustainably sourced local seafood. Delicious food with a good conscience, and a superb view – what more could you ask for? 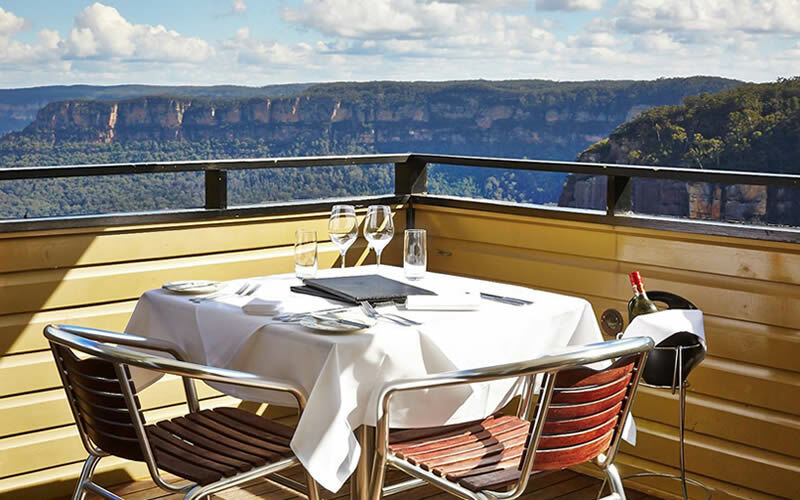 Blue Mountains: Just a few hours drive from Sydney, the Blue Mountains region is famous for its dramatic scenery, eucalyptus forests, waterfalls and steep cliffs. Echoes Restaurant offers guests a unique gastronomic experience that showcases the region’s fresh local produce in a stunning, natural setting overlooking Jamison Valley. If you can bag yourself a table in time for sunset, you’re in for a treat. Echoes‘ cuisine is equally breathtaking: modern Australian cuisine with an Asian influence. Try the crispy soft shell crab or the truffled mushroom wontons in herb broth – heavenly! Melbourne: Arty, cosmopolitan Melbourne is known as Australia’s sporting and cultural capital. 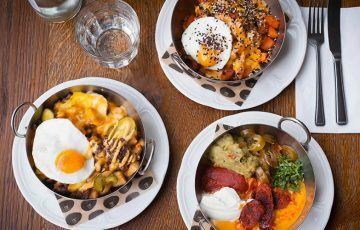 Here are two culinary gems to try on your next trip. If you’ve got a head for heights, you’ll love this elegant restaurant on level 55 of the Rialto Building. 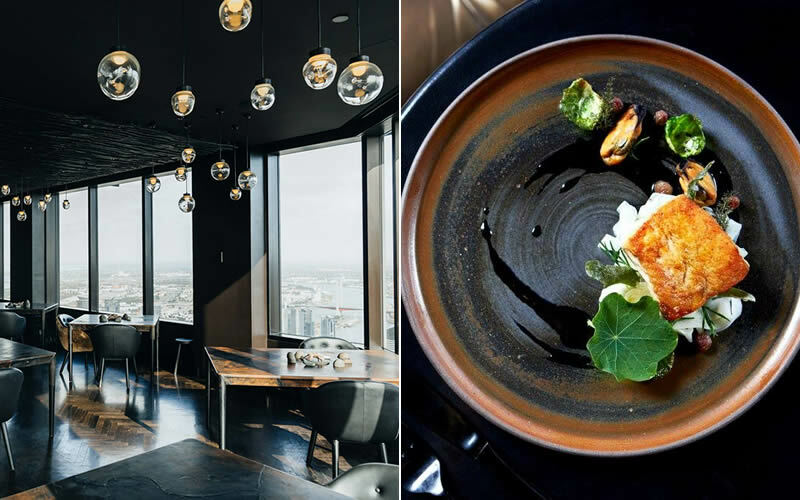 Vue de Monde offers spectacular views across the bustling city, especially at night, and their food is equally impressive. 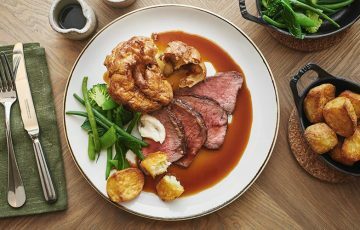 The tasting menu showcases locally sourced ingredients in inventive dishes designed appeal to all the senses. It does not get more relaxing than dining at Waterfront Southgate, thanks to its location on the banks of the Yarra river. The restaurant is dedicated to the “sea to plate” principle which involves daily visits to the market to select the very best oysters, pristine shellfish and the freshest local seafood. Brisbane: Queensland’s capital is a buzzing riverside city, home to galleries, museums, markets, and an up-and-coming dining scene. 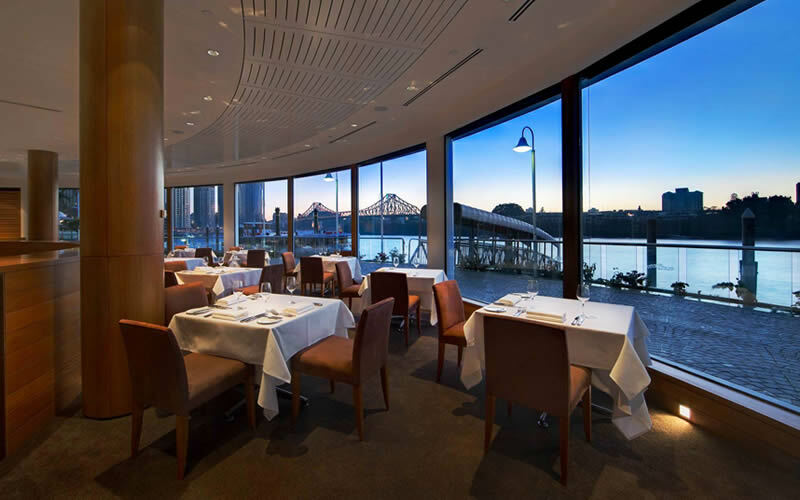 You probably won’t find a more picturesque spot to dine in Brisbane than Stokehouse Q. The restaurant is modern and sophisticated but maintains a relaxed vibe at the same time. Executive chef’s Richard Ousby’s menu features dishes like prawn and passionfruit ceviche and spring lamb with ras el hanout. Did we mention the views across the river? 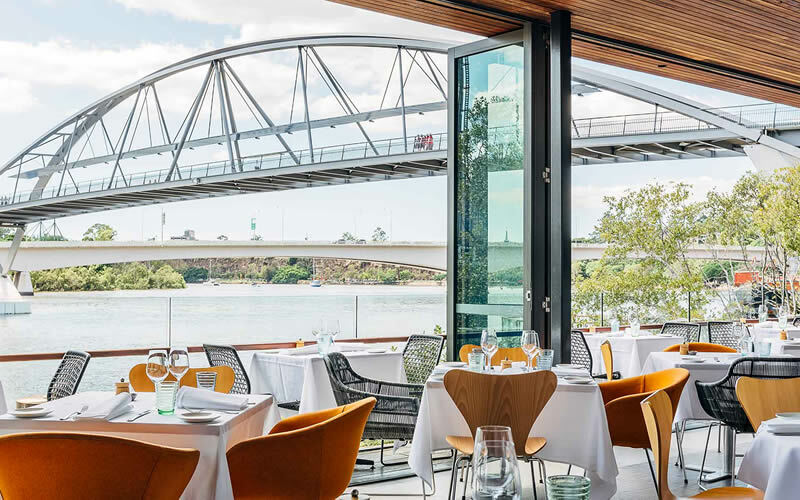 If you’re looking to treat yourself, look no further than Aria restaurant, located on the edge of the Brisbane River with incredible views of the Story Bridge and Kangaroo Point cliffs. It’s an elegant space with an equally tantalising menu. Diners can choose from dishes like snapper with miso and daikon or dry-aged rib eye to share. Don’t forget to try a glass (or two) of their wine – the restaurant was voted “wine list of the year 2018”and the sommeliers are more than happy to guide you through their offerings. 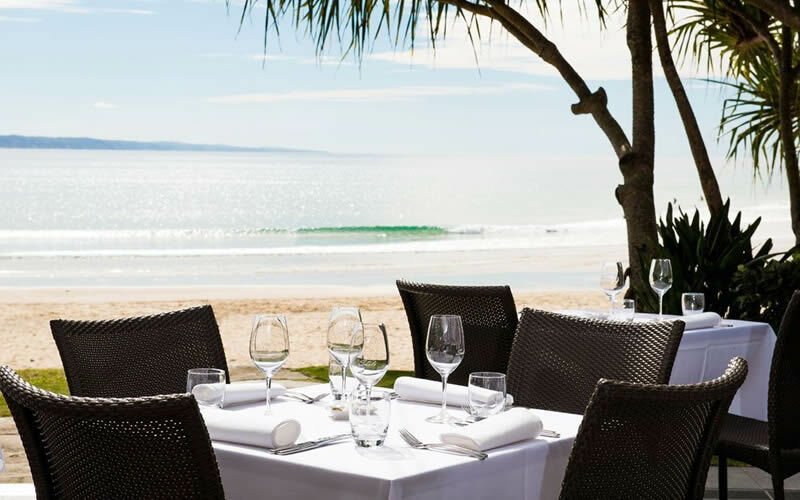 Noosa: Noosa is an Australian resort area on southern Queensland’s Sunshine Coast. It’s famous for its white sandy beaches and turquoise waters – you won’t need a filter here. Of course, this dream holiday destination is full of first-class dining options, too. 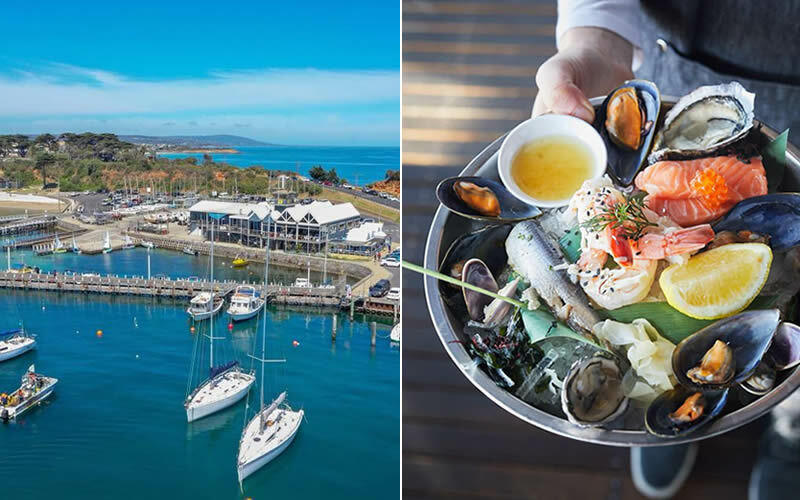 Mornington: A charming seaside town offering peace and quiet away from the hustle and bustle of Melbourne. 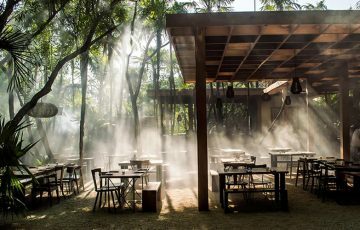 Its culinary offerings are as relaxed as its location. Twice voted “Best Seafood Restaurant in Victoria and Tasmania”, The Rocks is the perfect spot for a waterfront seafood supper. Situated right on the harbour, the airy dining room has a maritime theme with timber floors and fishing nets hanging from rafters. Don’t miss the BBQ calamari and Mornington mussels with white wine, garlic, and parsley butter. Burleigh Heads: Surfers’ paradise on the Gold Coast. If you get tired of hitting the waves, we’ve got the perfect dining spot. Rick Shores charms guests with its views across the shimmering waters and its minimalist aesthetic – think dark timber tables and caged tealight candles. 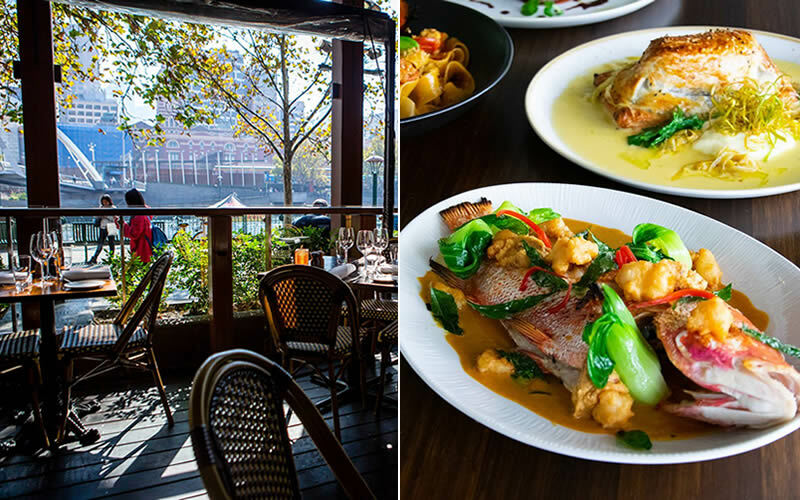 The pan-Asian dishes are perfect for sharing – try their duck and lychee red curry or the BBQ spiced rainbow trout.